We need to talk about sharks. They are not out to get us. The only frenzied attacks are by some media and it is impacting conservation efforts. I’d be a rich woman if I was given one dollar for every time a shark was labelled as a “man-eater” or “dangerous monster” in a newspaper or an evening news bulletin. However, as an Australian who loves being in the ocean, I also understand the concerns about these marine animals. Since the start of last year, four people have died of a fatal shark attack on our shores. One man died just kilometers south of where I swim every day. It is human nature to be scared of something unknown. Sharks are so mysterious to most of us and their habitat, the sea, is too. Unfortunately fear sells papers. People seem to love reading about events that stimulate their emotions whether it be fear, anger or outrage. Shark stories also often end up on front pages because they make for good headlines. And if you believe everything you read or hear, it is easy to start thinking sharks are killers just waiting for you to go into the water so that they can eat you. As author Allain de Botton explains it: “In its stoking of our fears, the news cruelly exploits our weak hold on a sense of perspective.” His choice of words is harsh but holds some truth. If we are not informed on a subject, our opinion can be swayed towards fear rather than understanding. Of course, there are many facts and figure to counter sensationalised headlines but fear is something that quickly becomes ingrained. It is difficult to start looking at sharks as an important part of our eco-system if you have always been told they are “man-eaters”. Education is the only way to interrupt this cycle. People need to understand sharks and their behaviours to be able to overcome their fears. The media is one way to start the shift. We need factual information on shark ecology and behaviour. That way, we can have a better understanding of these animals and how to share their natural habitats. For example, next time there is a shark attack, instead of demonising the animal, the other side of the story needs to be presented by including interviews from knowledgeable experts. 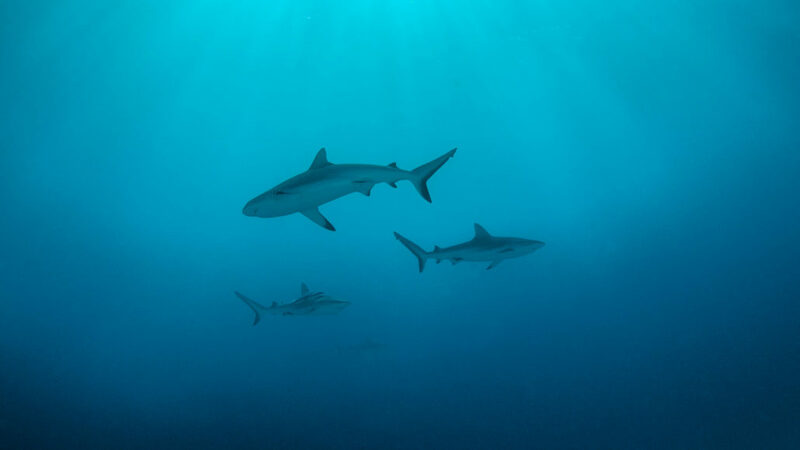 Story by story, the public perception of sharks will start to evolve in a constructive way which will help conservation efforts.